As far as shopping goes, there's not much that's more gratifying than getting compliments on your carefully chosen purchases. Shopping and style are very personal things, but positive affirmation from friends, family, co-workers, and even strangers definitely motivates me to gravitate toward certain compliment-bait brands. 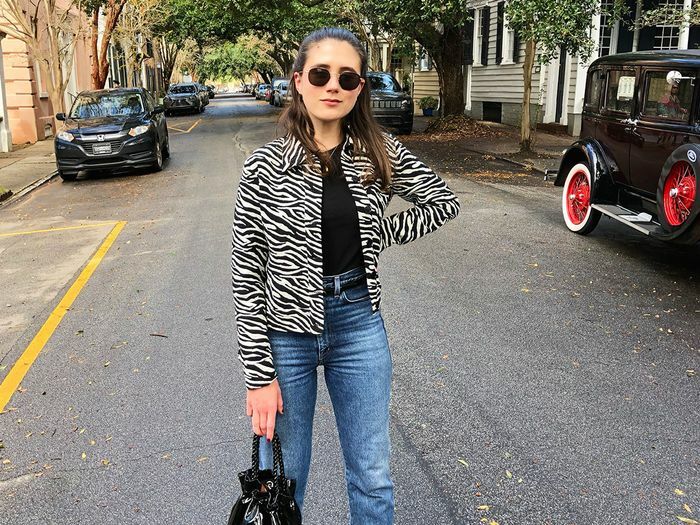 While a significant portion of my wardrobe consists of basics, I try to mix in eye-catching pieces that never fail to add interest to my outfits, and the brands I turn to for that interest are consistent. There are certain brands that I'm always ready and willing to invest in, but many of the brands that you'll find listed below won't even come close to breaking the bank, which is a beautiful thing, IMO. Ready to shop? Keep scrolling to find out which 10 brands I get compliments on every time I wear them, and shop my favorite current pieces from each. It's not exactly new news that everyone loves Reformation. The brand knows exactly how to make even the trendiest prints (like the jacket I'm wearing above) and silhouettes look cool. I can always count on Danish brand Ganni when I want something colorful, unique, and/or eye-catching, and I'm clearly not alone in this. The brand became especially popular this year. It's rare that I step out with a Staud bag and don't receive a compliment. They're perfectly unique yet wearable. The brand's clothing is just as special. Shocking, I know, but Zara just gets it. I always shop for pieces with special details, like the jeweled buttons on the below cardigan. Cool sunglasses are important to me as far as accessorizing goes, as they're one of the first things people see when they look at you. Le Specs' quirky-cool shades never go unnoticed. Pixie Market is one of the most directional fast-fashion brands in the game. Its sweaters, jackets, and skirts are particularly compliment-worthy. There's a reason Réalisation's pieces are all over Instagram—they get all the likes (and compliments). By Far emerged as a major accessories heavy hitter this year, and I've already invested in a couple of the brand's pieces. They're timeless yet special enough for people to notice them. Anna Sheffield is one of my favorite jewelry designers for a number of reasons. I even wore the below earrings for my wedding earlier this year. She makes fine jewelry for cool girls. I have a weakness for quirky shoes and bags, and MNZ never lets me down. I will gladly wear plastic glitter shoes as an adult when they're as chic as Nassir's iterations. Next up: eight brands to follow on Instagram in 2019.